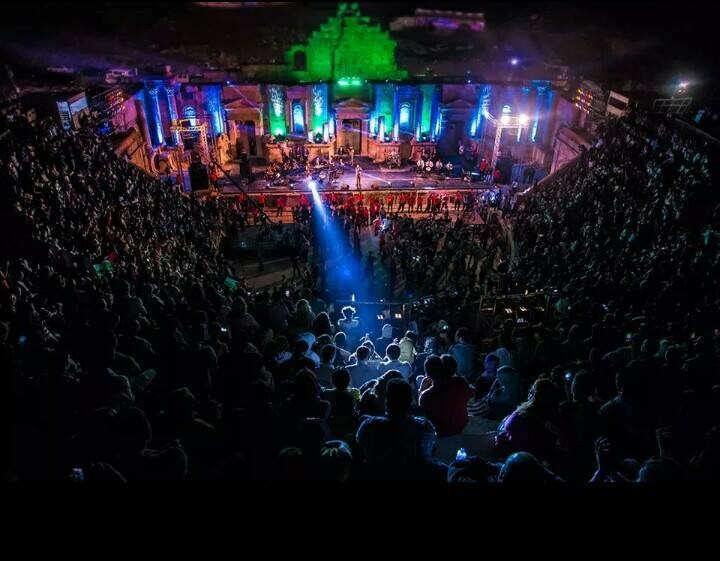 For the fifth year in a row the Jerash Festival has chosen KV2 Audio as PA system, including stage monitoring and sidefill. 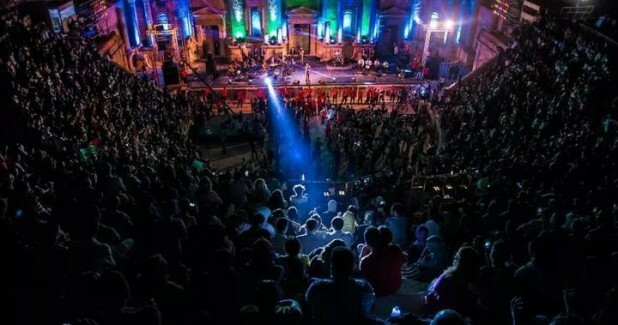 This year’s festival featured renowned artists from the Arab world, with a large crowd turn out, despite the troubled situation surrounding Jordan. 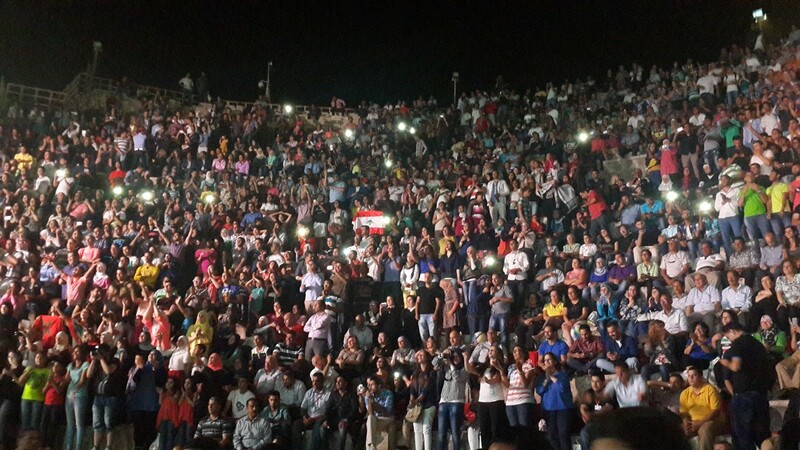 Some big names in the region were present, including notable artists such Mohammad Assaf, Najwa Karam, Wael Kfoury, Elissa and Shatha Hassoun, in addition to many others. 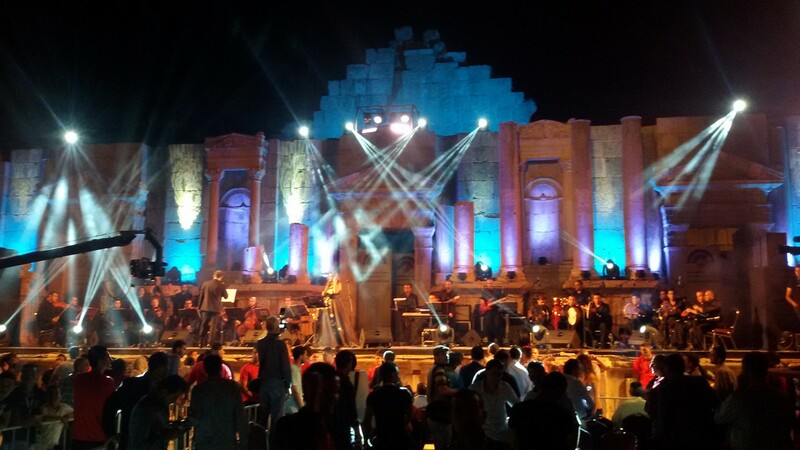 The festival started from 19 to 28 June 2014 at the historical roman city of Jerash. 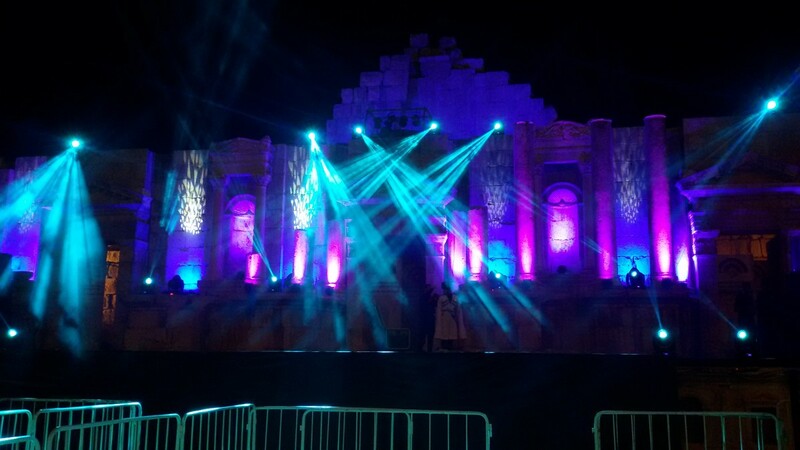 The main stage, namely the southern amphitheater accommodates up to 7000 people, was powered by just one flown VHD2.0 and one VHD1.0 down fill in addition to one ES1.0 for the upper seating area per side. The low frequency was handled by four VHD4.18 and two ES2.6 subwoofers per side, also fourteen EX12stage monitors were provided for this stage. The second stage, namely the northern amphitheater with its’ seating capacity of 2000 people, had two ES1.0 along with four ES2.6 subwoofers per side. 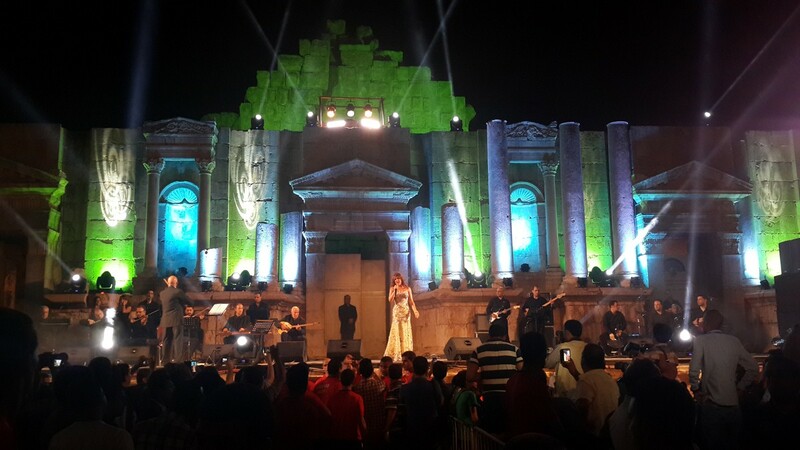 Again this year was another very successful festival, and KV2 Audio delivered flawlessly!